The six-hour drive south from Balanoor Tea Estate in Karnataka to the storied Nilgiri District of Tamil Nadu skirts Mysore city, engages with endless hills of shade-grown tea and coffee, then climbs to a plateau studded with charming agricultural villages producing corn, cucumbers, mangos, palm oil and rice. 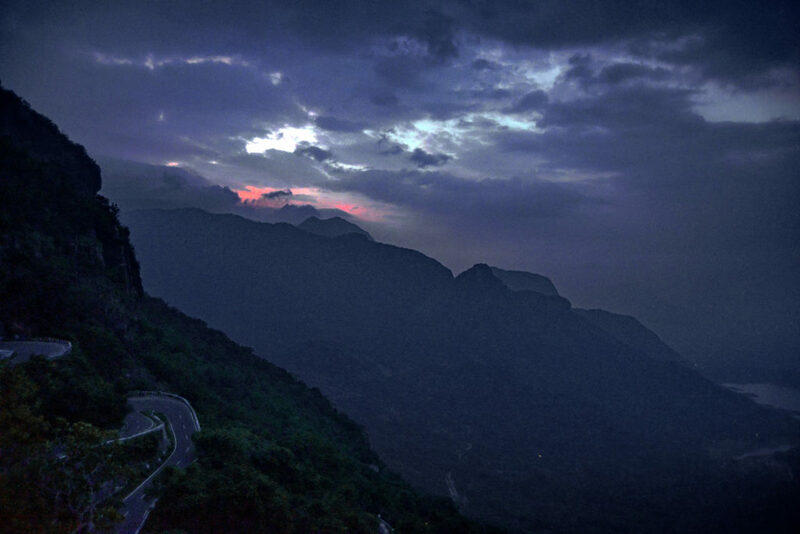 We move into the foothills of the Western Ghats and enter a zone resplendent with wildlife. Dusk descends as our Jeep enters Bandipur National Park, one of a plethora of wildlife reserves in western India. It is known as a tiger refuge, so we hope to catch a glimpse of one lurking in the semi-darkness. None emerge, but suddenly the driver cries out, “Wild elephants there!” and a parade appears, swaying in the nervous light of our high beams. From Bandipur, we climb into the Western Ghats, seldom leaving second and third gear, as we wind through the nauseating switchbacks. The majestic mountain system, also known as Sahyadri (“Blessed Mountains”) stretches along the west coast of India, like a giant backbone – 1,600 kilometers in length – from Gujarat to the southern tip of India. On a long, steep stretch we encounter a herd of Nilgiri Tahr, wild mountain goats endemic to the area, snacking on the tall roadside grasses. I get out of the Jeep to get a closer look at these graceful rock climbers. They are alert, but curious; intelligent. Their kind, expressive eyes polished orbs of gemstone. The Ghats (Sanskrit, “steps”) are millions of years older than the Himalayas, and like the latter, play a pivotal role in the climate and weather of the Indian subcontinent. Toward the end of spring, when the land heats up, moisture-laden marine winds rush inland from the Arabian Sea and push into the Ghats, which are a dam of stone, forcing the air to slow, and then rise. The ascending mass cools, clouds form and nourishing rainfall pelts the forests of the western slopes. 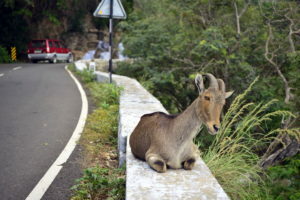 Nilgiri Tahr along the road. Thousands of centuries of monsoon rains have turned Western Ghat forests into a natural wonderland, one gigantic UNESCO World Heritage Site, one of the hottest biodiversity hotspots on earth. The region supports 7,402 species of flowering plants, 1,814 species of non-flowering plants, 139 mammal species, 508 bird species, 179 amphibian species, 6,000 insect species and 290 freshwater fish species. Tamil Nadu, alone, contains one-third of all the wildlife on the Indian Peninsula. The Ghats are also habitat to indigenous tribes and communities – fishers, hunters, farmers and pastoralists – like the Toda, Kota, Kuruba and Badaga, who yet survive in the hills and speak their own fast-disappearing languages and dialects. This ecosystem remained free of outsiders until 1919, when British explorer and promoter John Sullivan, Coimbatore Collector of Revenue, arrived. He is credited with founding Oothy, the first British settlement in the district. 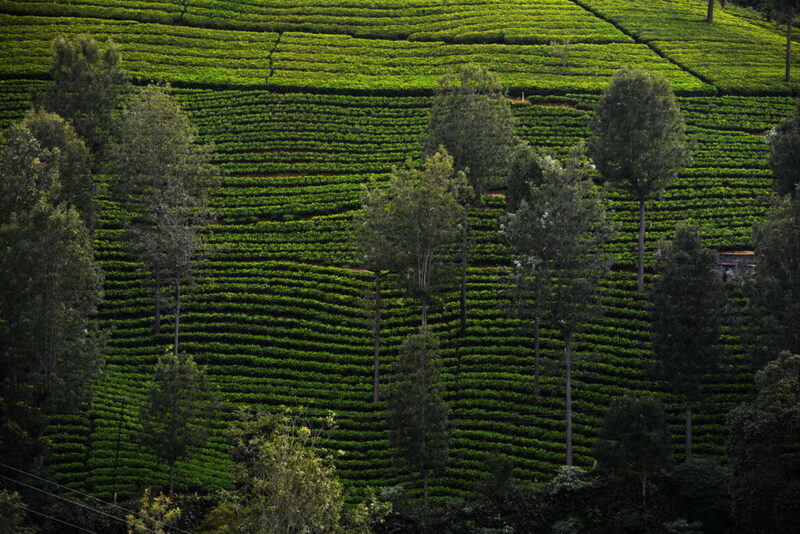 Tea plants brought from Qing Dynasty China were planted in the Nilgiri hills in 1832. Cultivation spread rapidly throughout the area, hastened by the prevalence of a blight that decimated Ceylon’s and South India’s coffee crop. By 1878, when pioneer planter James Finlay established the Kanan Devan Hills tea estate in Kerala, the tea industry was well-established. South Indian tea is grown by a handful of large plantation companies and by thousands of small-growers in three southern states: Karnataka at Chikmagalur, Hassan and Coorg; Tamil Nadu at Nilgiri, Anamallai, Singampatty and Kanyakumari; and Kerala at Wayanaad, Idukki, Vandiperiyar and Peermade. Nilgiri teas grown and produced in the eponymous district have been protected by geographic indication certification since November 2007. The fine orthodox teas from Nilgiri and surrounding high-elevation areas are rich and dark, well-fermented, high-fired, finely sorted, robust, brisk and slightly fruity or zesty. With some exceptions, they tend to be earthy and grounded, slightly sweet, but often lack malty or flowery notes, as well as wine fruitiness, such as muscatel. High grown Nilgiris can be quite brisk, but are, at the same time, smooth, round and full. 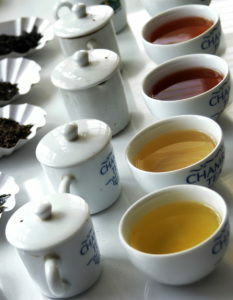 Southern teas are often compared favorably to Sri Lankan, as climatic and other conditions are similar. However, they are quite different from northern teas, such as Assam and Darjeeling, whose highly distant and distinctive terroirs produce teas with a different set of characteristics. However, newly-developed clones are replacing old plantings; improvements in cultivation and innovations in the factory are bringing about changes in cup quality. Occasionally, Nilgiri teas are made in the style of Darjeeling, some of which are “convincing.” There are also Nilgiris which simulate Chinese classics, such as Long Jing, Oolong, and White Spear. We arrive at Billimalai Tea Estate in time for a late dinner. I am joined by Mr. Vejayashekara, tea production manager, who is fasting due to a religious observance. When I inquire about the name of the garden, he explains that Billimalai means “Goat Mountain,” and I am reminded of the beautiful cloven-hooved friends I met on the road. 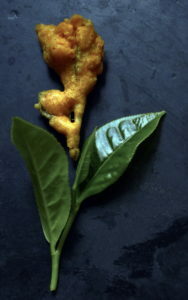 Tea Pakora – Tea leaf tempura, anyone? An appetizer, freshly picked green tea leaves dredged in a spicy batter of chickpea flour, red chili powder, turmeric and salt, then deep-fried in vegetable oil (a tea leaf samosa) appears at the start of a wonderful vegetarian meal of curried eggplant, a thin southern daal, rice and basket of crisp warm papadums. 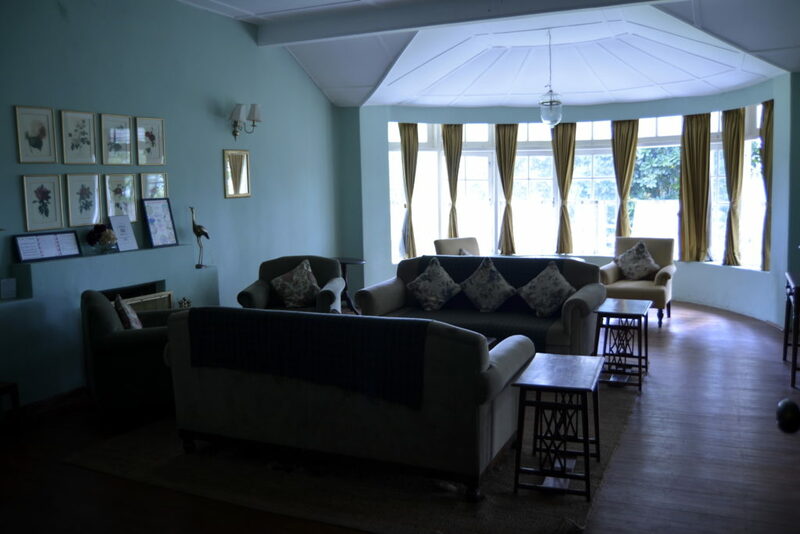 Century-old Billimalai tea garden was purchased in 1983 by Mr. G. Udayakumar, a versatile businessman with interests in India and Sri Lanka. The company used to work along conventional lines, but sensing the profound changes in the local tea market and the growing sophistication of the Western consumer, Kumar decided to adopt a new paradigm: Billimalai would no longer grow its own leaf, but buy from others and focus instead on the tea-making craft, bringing in innovations as needed. 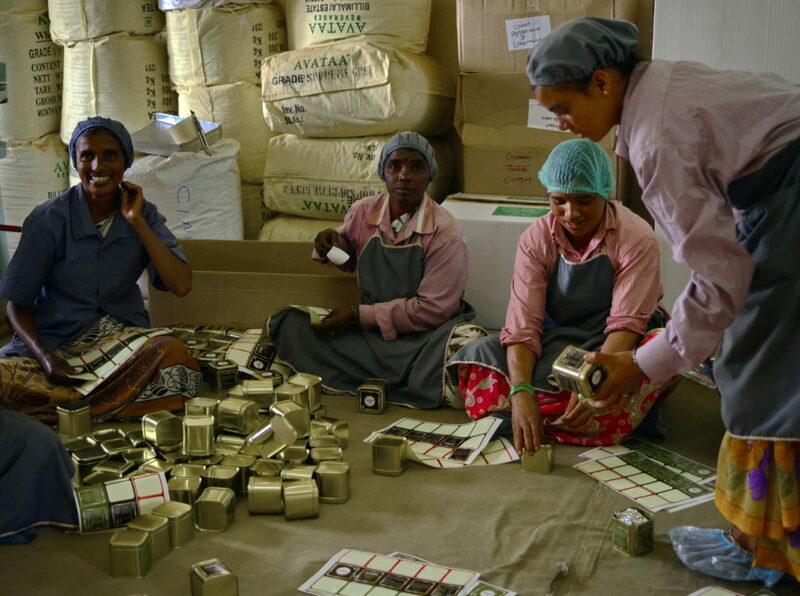 The company’s “bought-leaf” factory manufactures and packages a line of premium teas, tea blends, scented teas and tisanes under the Avataa (Sanskrit, “fresh”) label. 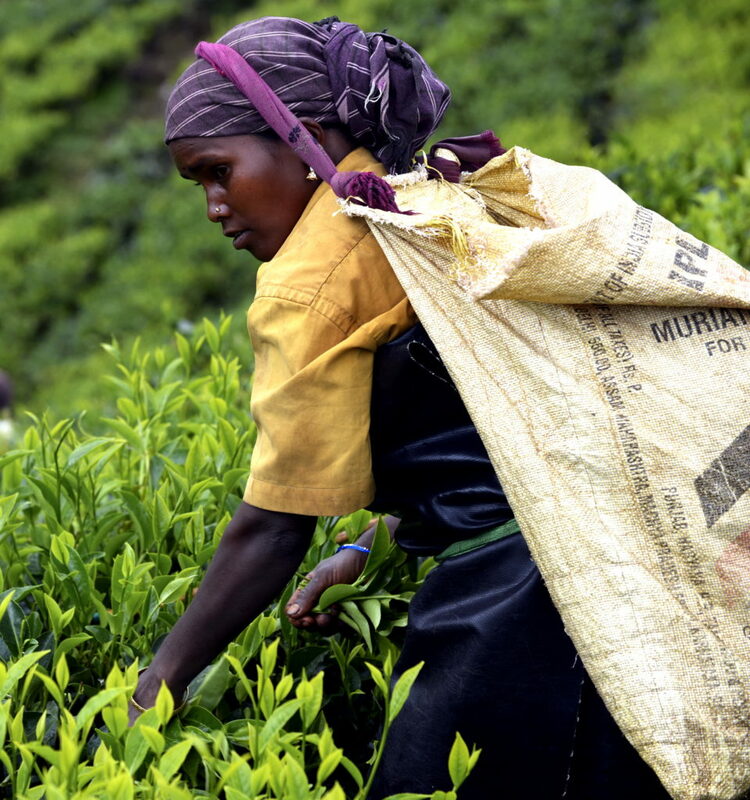 This strategy allows the company to focus on tea-making that adapts to changes in the marketplace, at the same time, eliminating the significant costs of tea cultivation and harvesting. 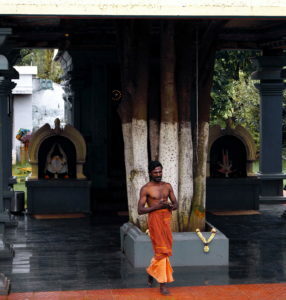 We leave Billimalai’s charming manager’s bungalow after breakfast in bed and drive to a temple near the tea factory where we “do puja” and receive a tilaka, a round of red paste applied to the forehead, from the earnest young priest. It is Purattasi, an auspicious month in the Tamil calendar, a time to pay our respects to Lord Vishnu. Blessed, we retrieve our shoes and trudge off to a nearby complex of small, modern concrete buildings that serves as the Billimalai tea factory. A line of orthodox teas waits on the factory veranda, facing the busy entrance to the complex. They appear to be premium-quality, hand-made teas and a bit out of the ordinary from what is normal in South India. We taste a “Virgin Green” which is light and clean, but greenish in character; a white tea with a beguiling pink blush liquor and a sweet complexity; “Twirl Green,” a classic twisted green tea with a vegetal twang; a “Long Ding” (Long Jing? 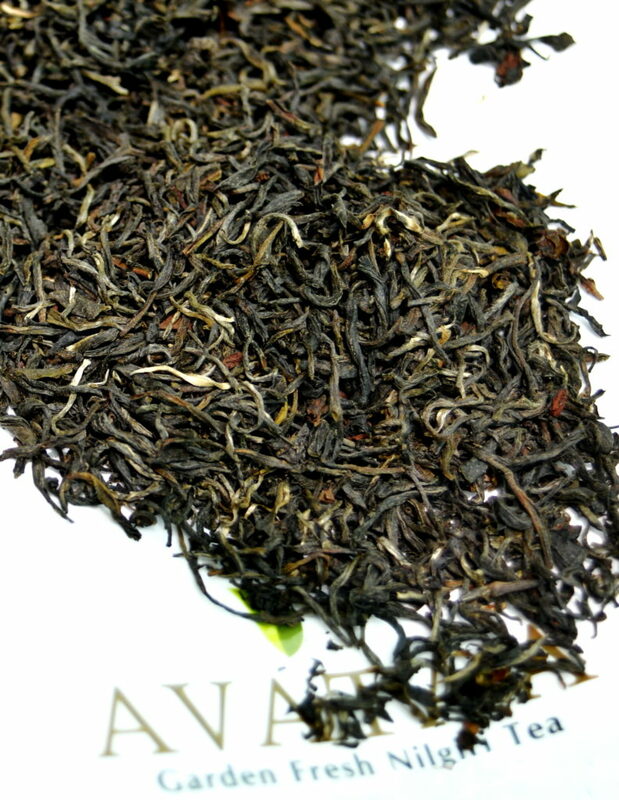 ), also light-liquoring, but with a touch of “toasted wheat;” and a creditable Oolong, similar to a Darjeeling oolong. There are scented teas with excellent natural materials brought in from Gujarat. All of these teas are available under the Avataa label. I was told (in late 2017) they will soon be available on Amazon. My tour of southern Indian tea gardens was sponsored, in part, by UPASI, the United Planters Association of Southern India. UPASI is an independent, predominantly government-funded member organization that supports South Indian coffee, tea, pepper, cardamom and rubber planters. It organizes activities, lobbies government and conducts research in support of its members and their plantations. 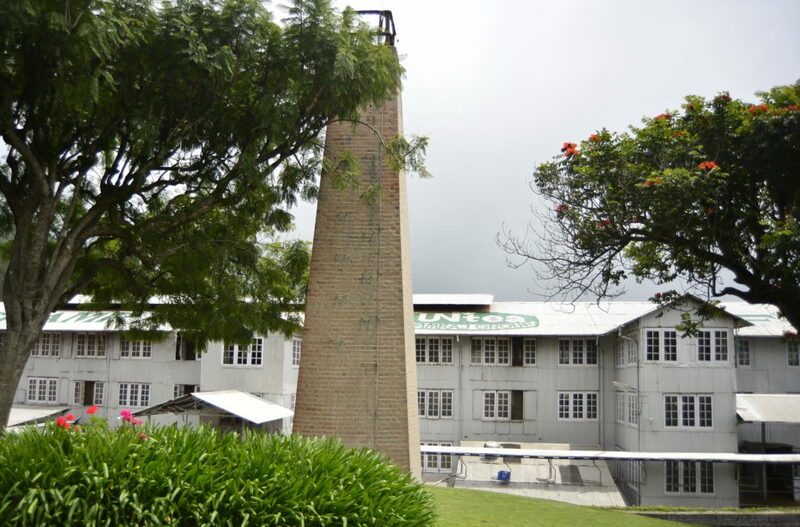 UPASI has an autonomous Tea Research Institutes (TRI) where cutting edge scientific work is done in plant breeding and propagation, new technology, such as machines that are capable of sensory evaluation of tea leaf; the development of new tea clones and basic research into specific issues affecting cup quality, tea-manufacturing and tea-brewing. Every year, UPASI conducts the Golden Leaf Awards to highlight the best teas produced by member gardens. On my visit to Glenview, UPASI headquarters in Coonoor, I am invited to join in a cupping of sixty of the submissions for 2017. I am joined by Mr. R. Sanjith, UPASI Joint Secretary, and Nimish Parikh, Director, J. Thomas & Co. and a large group of onlookers I presume are UPASI staff curious how the foreign “tea expert-turned-journalist” will react to the challenge. Many of the cupping samples were CTC and I have often repeated that I find CTC teas a challenge as my experience has been overwhelmingly with orthodox teas. I was delighted, therefore, to have reinforcement in the person of Mr. Parikh, who provided running commentary as we sipped and zipped along the cupping table. 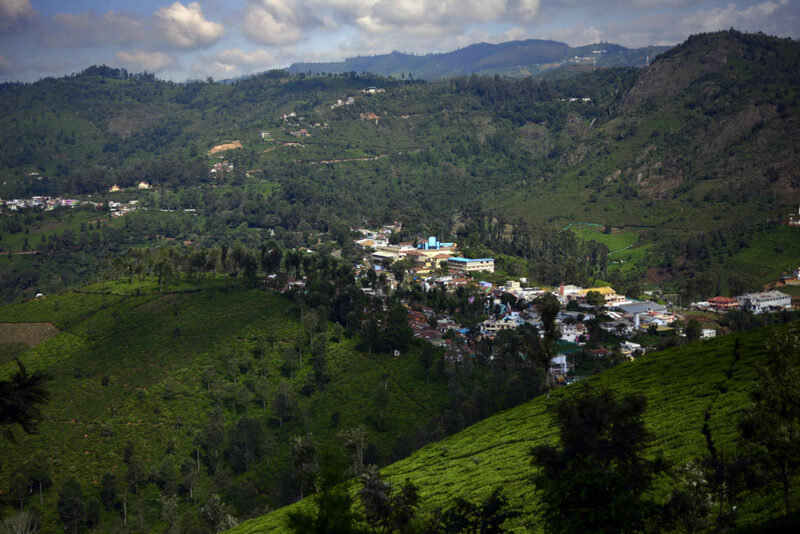 The town of Coonoor is one of the tea capitals of the Nilgiri District and Chamraj one of the district’s leading gardens. I first learned of the Chamraj group of estates in the 1990’s when we purchased Chamraj and Korakundah organic teas at Teahouse Kuan Yin in Seattle. Ever since, I have associated Chamraj with tea-making competency, great Nilgiri flavor and character. Chamraj was founded in 1913 by Robert Stanes, who put together a large group of enterprises, including coffee-growing, cotton milling, motor works and tire retreading in and around Coimbatore. Today, the four estates, totaling 3,800 acres, include Chamraj, Korakundah, Devabetta, and Allada Valley. All are now owned by the United Nilgiri Tea Estate Co., UNITEA, a subsidiary of Amalgamations Group. Korakundah is their organic garden. At its highest point (8,000’asl. 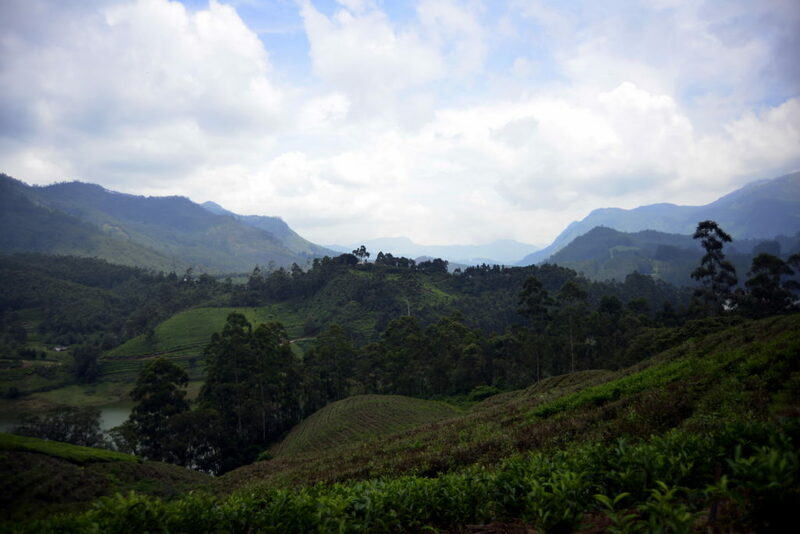 ), it is the highest tea plantation in the world. About 85% of the gardens’ 1,200-tonne production is exported to Western markets as premium-grade orthodox tea. 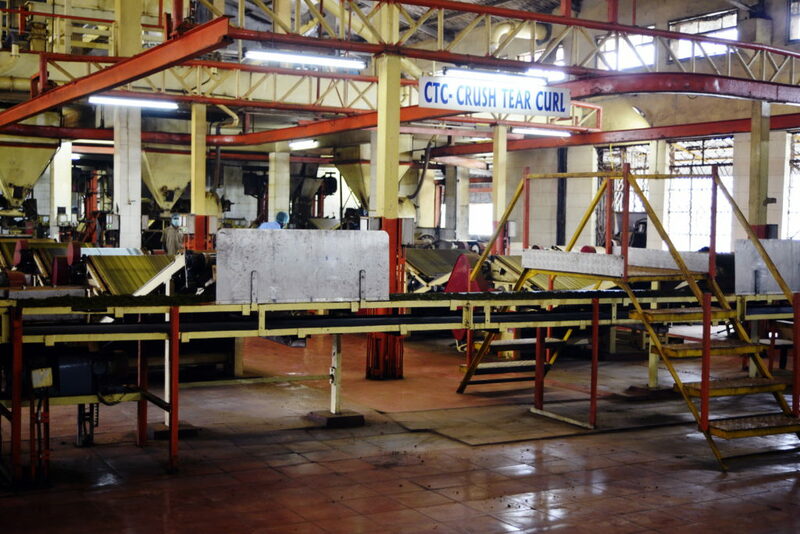 Two factories manufacture CTC tea. G.B. Henriksen, a UNITEA manager who has been with the company for 15 years, gave me a tour of the Chamraj facilities. The factory is clean, neat and well-lit, with white ceramic tile and freshly-painted walls. I note that the floor is divided off into work sections dedicated to a specific part of the tea-making process, so the noise and air pollution typical of an open-plan factory is avoided. Chamraj employs advanced technology, including a continuous fermentation machine with computerized humidity and temperature controls and a computerized color sorter from Japan. The real surprise, though, was the many perks and benefits Chamraj provides its 1,200 workers and their children. The main campus feels and hums like a small village or a college campus, with white-washed buildings lining the private streets and drives that circulate about the premises. 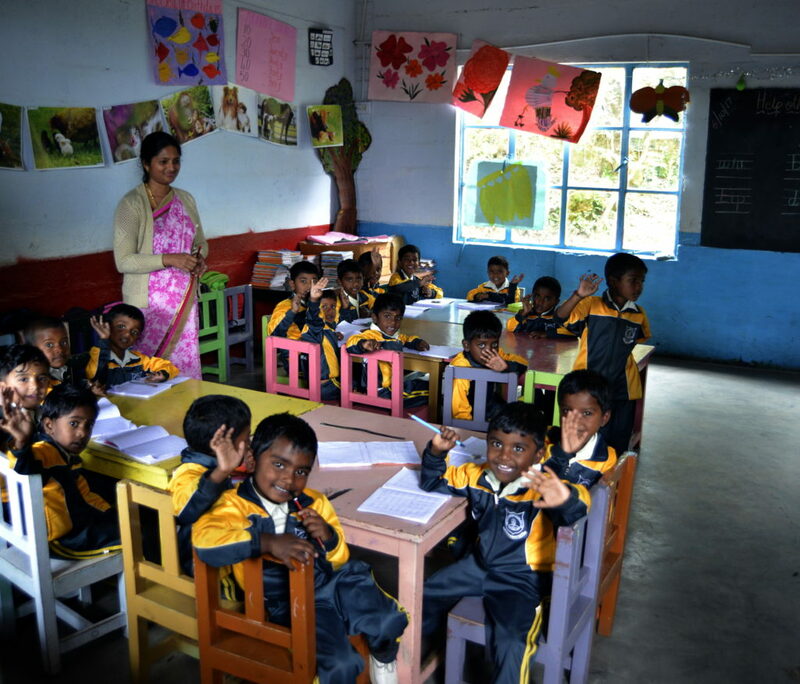 The school, which encompasses crèche to 12th level, is spread over a number of classrooms buzzing with instruction in Tamil and English. In a large classroom, thirty children work busily at updated computers supplied free to the school. Henriksen, an avid bird-watcher when not working on the estate, made it clear that the company school was free not only to children of employees and staff, but to children from surrounding villages, as well. Chamraj operates a hospital and health clinic with two attending doctors, one full-time. It has a pharmacy, laboratory and an operating theatre. They also have a clean one-room dental clinic which has been equipped with funds earned through fair trade. An Indian sage said: “All is change.” Earlier in my tea tour, Ashok Kuriyan, Balanoor Tea, Karnataka, convened a group of garden owners from around Chikmagalur for an informal discussion and gripe session. This open and frank discussion, and others on the road, indicates the tea industry of South India feels the pain. Starting in the 1980’s, many Indian tea companies converted from traditional orthodox production to CTC. The rationale, an excellent one at the time: Meet growing domestic demand for strong, thick, high-cuppage tea required by India tea stall owners and consumers. It seemed a win-win situation for tea-maker and consumer. By the end of the century, tea-makers in Sri Lanka, Kenya, and others switched to the cheaper tea and supply went up dramatically. A glut on the market caused the auction price to drop, at times to below the cost of production. 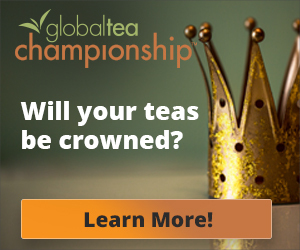 This is an untenable position, especially for the small-grower and the non-corporate tea factory. Another issue is the cost of doing business. Put simply: It’s expensive in the south. Labor costs for tea pluckers and factory workers, as well as the cost of utilities, electricity, coal, and wood, have risen steadily. They are consistently much higher than in the North, in places like Assam, which competes with the south both domestically and internationally with top-of-the-class CTC. We have the perfect tempest in a teapot: high costs and low prices. There are a limited number of practical responses a company can make: Turning to automation in the factory and mechanization in the garden to drive labor costs down and productivity up, but this is an expensive route, not open to all. Stepping up to higher-quality, value-added products is another strategy which can help a company compete more effectively in the global marketplace, but high-quality is not for every factory or every consumer, while economy and convenience often is. 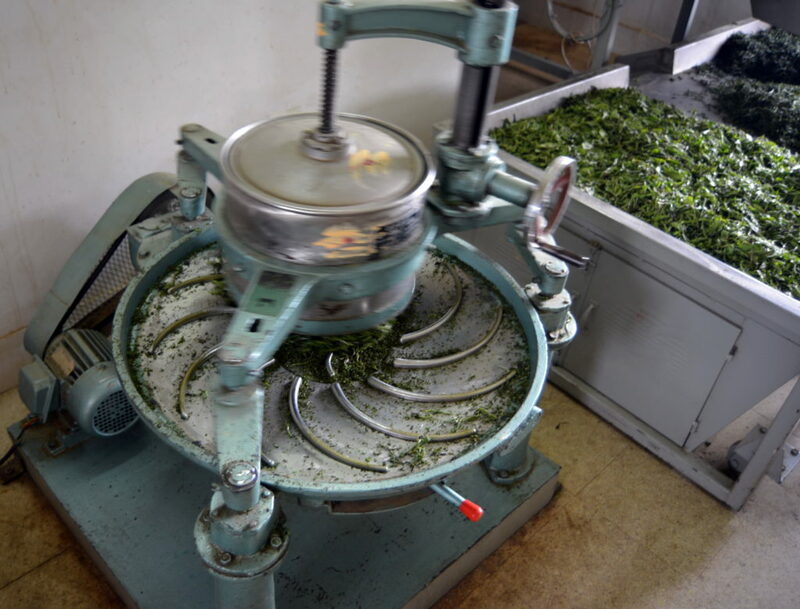 Moreover, not every tea factory has the skill-set and resources required to make these changes. 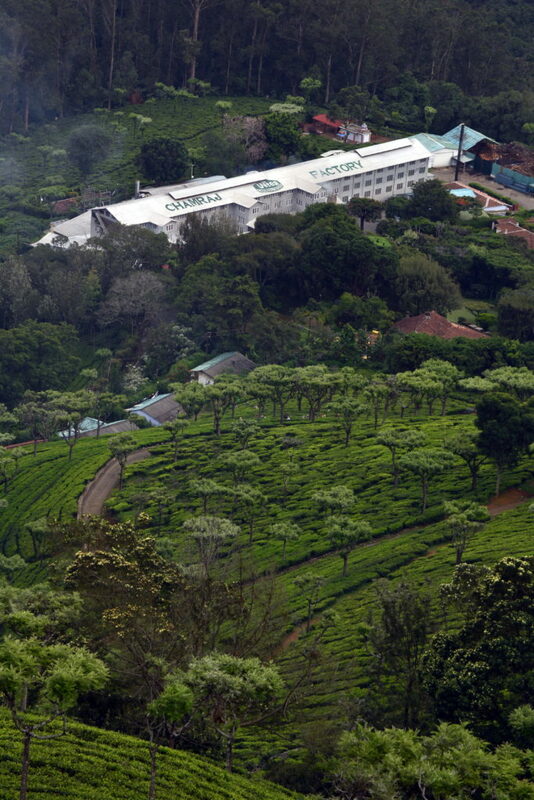 Kanan Devan Hills Plantations Company is a poster child for the shifting business landscape in South India. Established in 1877 by James Finlay, the Finlay Tea Company, with tea properties in Udduki District, Kerala, was one of the most recognizable tea brands in India. Tata Tea bought Finlay in 1982 when tea prices were high, but by the end of the century, prices dropped and they decided to exit the plantation business to focus on branded beverage sales. In 2005, Tate took the radical step of transferring ownership of most of KDHP assets to its employees: 12,000 workers, 400 staff and 70 management personnel. Tata would ultimately retain 28% ownership and would continue to support the operation in ancillary ways. KDHP is the only majority employee-owned tea company in the world and, a few hiccups none withstanding, has perpetuated a revolutionary new model of tea company ownership. In 2010, after five years, the new company became highly profitable, due, in part, to a dramatic rise in global tea prices. Since that time, while sales have risen, profitability has dropped, due to a fall in the auction prices of tea. Hiccups occurred in 2015 when labor unrest of uncertain origin in the politically excitable states of Tamil Nadu and Kerala shut down company operations for several months and cost the company dearly. I meet with General Manager, Mohan Varghese, Deputy Manager, R&D, Dr. Siby Mathew, and Jayanth K, Manager, business development, in the KDHC office where we taste some excellent orthodox teas, CTCs and herbal tisanes over conversation about the tea business and innovation. . The novel ownership and governance model adopted by KDHP was a game-changing move by Tata that got them out of the plantation business, but how to evaluate it twelve years on from a local viewpoint? For a start, employee ownership doesn’t alter market dynamics. 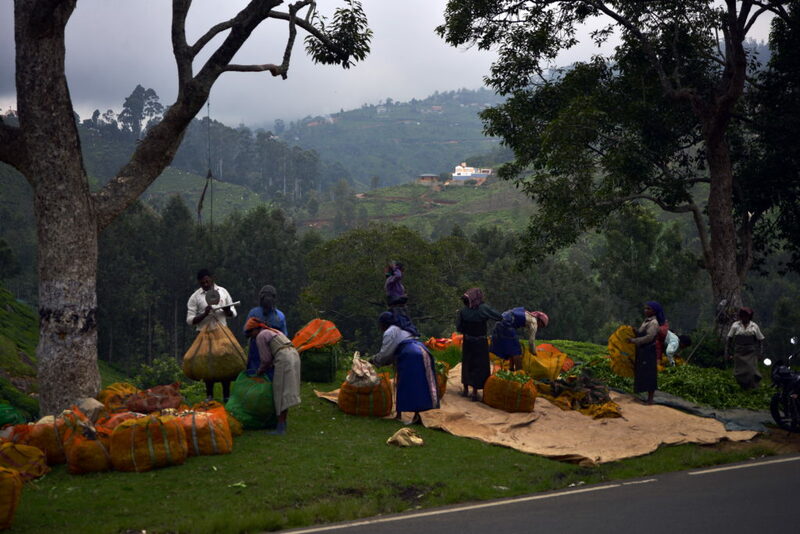 In 2010, when tea prices were high and sales growing, profits were substantial. Five years on, when tea prices fell, high volume could not make up for shrinking profits. Then there was a wage and bonus strike led by female employees in the final months of 2015. This event suggests nominal worker-ownership does not necessarily translate into worker power or worker satisfaction. Almost all KDHP workers hold company shares, but a professional male-dominated bureaucracy continues, as it will, to run things at the top. The few ordinary workers who make it onto workers councils or the board of directors are hardly a match for this cohort who has the support of the mammoth Tata organization? I visited many other wonderful tea gardens and brilliant factories on my tour: Parry Agro/Iyerpadi Estate, where Mr. Arunkumar was my caring and informative host and the food served at the guesthouse delicious and plentiful; Woodbriar, where I had an excellent and thorough tour of CTC production and enjoyed cupping some beautiful teas – one of the best tours I’ve yet been given; and Harrisons Lockhart, where I was the guest of B.C. Das and his lovely family, where gourmet Indian dinners were the rule and where I acquired what is now my favorite breakfast tea, that I drink as I write this! I want to thank UPASI for devising my itinerary, setting the schedule and providing transport and back-up along the way, even after two unplanned false starts on my part. Thank you all for introducing me to the verdant tea-growing regions nestled in the Sahyadri Mountains. Even compared with the fabled hills of Darjeeling, I found the tea gardens of the South and the Western Ghats ecosystem an irresistible national treasure. It is an environment where the delicate balance between animals, humans, plants and forest spirits is still respected and protected for the future benefit of the Seventh Generation and its tea-drinkers. Tea Journey sent specialty tea pioneer Frank Miller on a tour of South India in search of exceptional tea. During his travels he explored the beauty of Tamil Nadu, Karnataka, and Kerala, three important growing regions. Tamil Nadu is the third largest tea producing state in India, processing 160 million kilos annually but trailing Assam (650 million kilos) the largest tea producing region in the world, and West Bengal which produces 350 million kilos. Kerala ranks fourth at 58 million kilos. This is part one of Frank’s Journey.